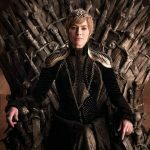 The Night’s Cast Bonus Episode: The Season 8 trailer is HERE! The trailer has arrived and we couldn’t be happier! Praise be to every god or goddess of Westeros (and beyond, what the hell): today we got the long-awaited trailer for Season 8 of Game of Thrones! 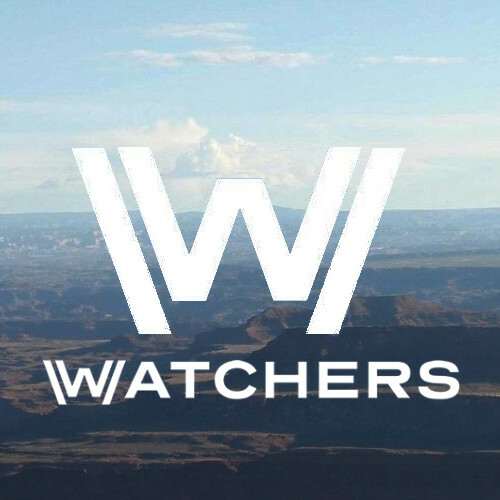 You know what this means…over-analyzing every frame down to the last pixel and some wild speculation to boot!! 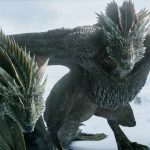 As we’ve done with every shred of new material this offseason, The Night’s Cast, the official podcast of Watchers on the Wall, couldn’t wait to jump on the trailer and discuss what these spare two minutes can tell us — and there’s a lot, from the visually enticing bits (Dragons over Winterfell! An epic battle! The sky lit by fire!) to the potential for emotional elation and devastation alike (Jon probably rides a dragon! A lot of our favorites are in mortal danger! Jaime is fighting for the Good Guys!). Join Lady Geoffrey, Vanessa and Samantha as they break down everything they can about the trailer (and throw in some discussion about the EW cover shots and portraits)! Hodor Nomore, Died holding the door. Perhaps he’ll carry Rickon in episode four. Thank you! The trailer has over 72 million combined views on YouTube/Twitter/Facebook and it still the #1 trending on YouTube! OK. There’s n=one more observation I want to share with you after those countless rewatches of the trailer. 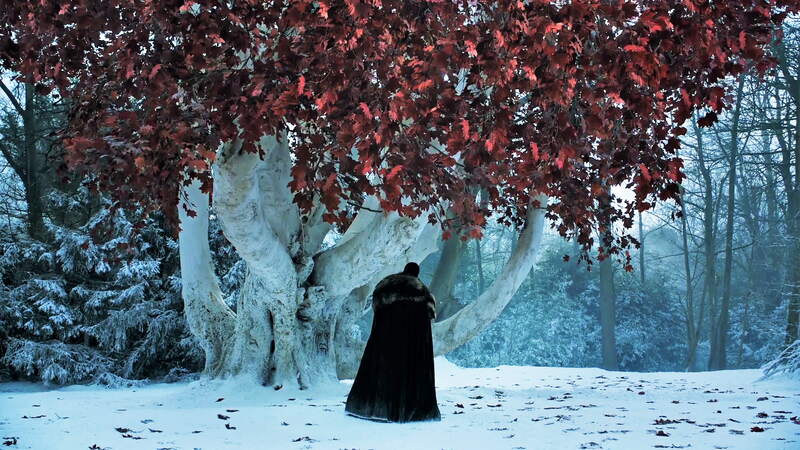 It concerns the still above: Jon is standing not by the Winterfell heart tree, but by that of Castle Black just outside the Wall – the one Jon made his Night’s Watch vows at!!! The tree itself is used for both locations; however, when it stands in for the heart tree of Castle Black, there are spuces in the background and no pool underneath, just like in the shot. So, it spoils a lot. Firtst of all, it proves that Jon will go beyond the Wall. Secondly, it has to happen after the Battle of Winterfell. Thirdly, I don’t see why Jon would go there: I mean, contemplating his vows would be poetic but it’s not like Jon will have time for contemplation trips – unless he rides a dragon. And anyway, such contemplation can be expected in the second half of the season, when Jon committs to take the throne, or even somewhere at the very end of the show when it’s all said and done. What do you think? It’s possible that the pool is frozen and covered in snow, no longer visible. 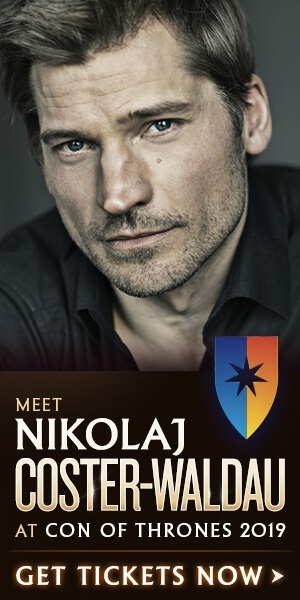 Needle is “castle-forged” steel, not Valyrian steel, made by Mikken at Winterfell. 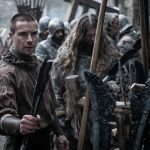 (Ned recognized Mikken’s mark on the sword when he first saw Arya with it). 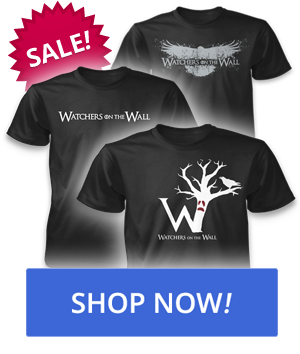 Inga: It concerns the still above: Jon is standing not by the Winterfell heart tree, but by that of Castle Black just outside the Wall – the one Jon made his Night’s Watch vows at!!! Sorry but that’s the Winterfell weirwood tree. The difference between the nightwatch and winterfell tree in the show: the one near Castle black got his face located on a branch, the carved face itself has a very large opened mouth. Also, can’t remember seeing the pool in season 7, ( only in season 1 ) in the scenes with Bran or sansa at the weirwood in winterfell. 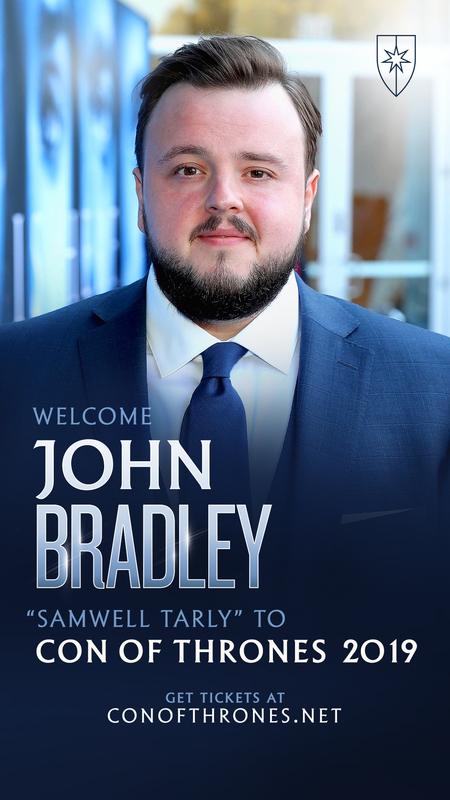 Does anyone else think that the shot of Tyrion is him in the Winterfell courtyard. In the footage of Dany meeting Sansa there is mostly dirt on the ground with only snow piles on the outskirts of the frames. Im thinking this is him in Winterfell looking up at something or someone. Also I think the the shot of Sansa just staring out, could be later then the first episode due to her outfit. you can see only her neckline in the photo but it looks identical (but in black/blue) to Dany’s silk red scarf we see in walking into Winterfell with. Furthermore, in that same scene Sansa greets Dany in her season 7 outfit which noticeably has the leather at the neckline with her silver chain below. 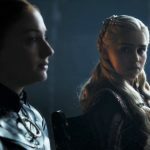 For this reason, I feel pretty skeptical about the theory that Sansa won’t get along with Dany, at the very least she may be taking some kind of cues or trying to learn from her as she has with other influential women in the past. Thank you, Ladies, for this analysis. Some interesting points of view. Well, that looked cool. It does not give away much. 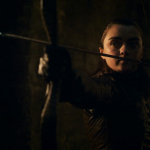 Still, the opening portion does imply that Winterfell will be overrun, and that Arya will be among the last to flee. 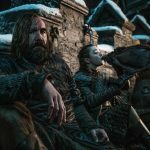 Indeed, that clip alone is pretty powerful: at this point, it would take a LOT to shake Arya so badly.